with the fast & dirty arrival of winter, i find myself longing for the sultry days, greenery, and florals of summer. while winter, too, is beautiful, and i have been enjoying the transformation of the local landscape into a winter wonderland, i am not fully prepared for the impending deep freeze and long winter months. 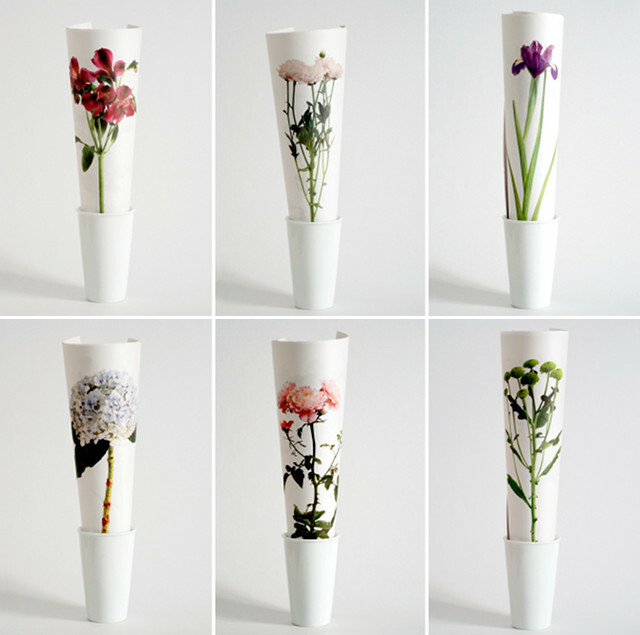 so when i happened upon these clever fresh (paper) flowers from design studio Itunube, i couldn't imagine a more delightful way of passing the Canadian winter. 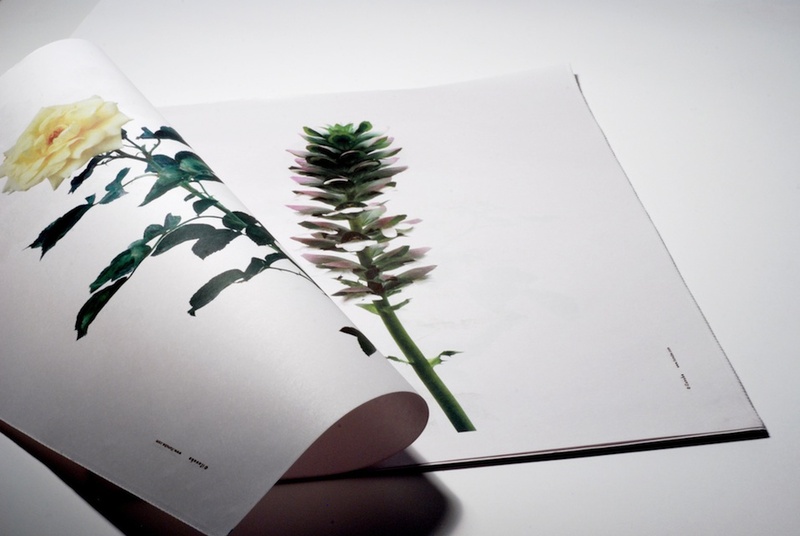 a collection of 32 flowers printed on newsprint, Fresh Flowers was designed by Sandra Bautista not only as a format to catalogue a series of photographed flowers, but also as a way of having a display of flowers on your table everyday, with a different flower for each day of the month. you simply choose one of the flowers, place it as the cover, make a roll with all the pages together, and display it in a vase. brilliant, right? there is also something wonderfully practical about displaying paper flowers in a vase. not only do they not require water and will not wilt (although i think wilting and decay are part of the beauty of real flowers), but they are also safe for our feline friends. i've been reluctant to bring fresh flowers into the house ever since our cat, Hunter, was poisoned from eating lilies last year and lost one of his nine lives (although he was deathly sick, thankfully he pulled through and recovered!). if you have a cat like ours who will eat any fresh or leafy green thing, bringing fresh flowers into your home can unknowingly put them at risk if they turn out to be toxic. short of finding the perfect non-poisonous flower, perhaps Fresh Flowers is a good solution? 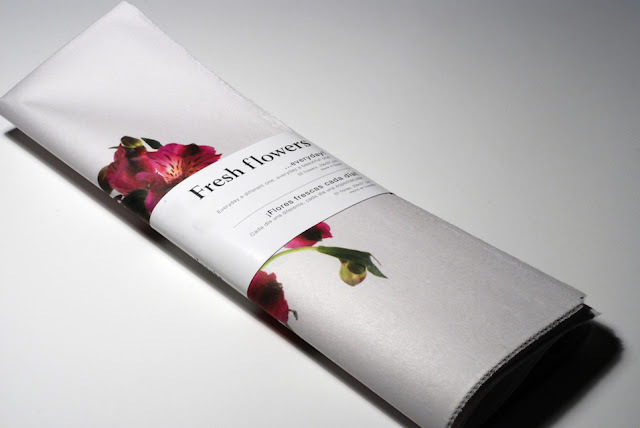 the newsprint book would also make a lovely gift and is much easier to send by post than natural flowers. it would certainly brighten my day! all photos courtesy of Itunube.